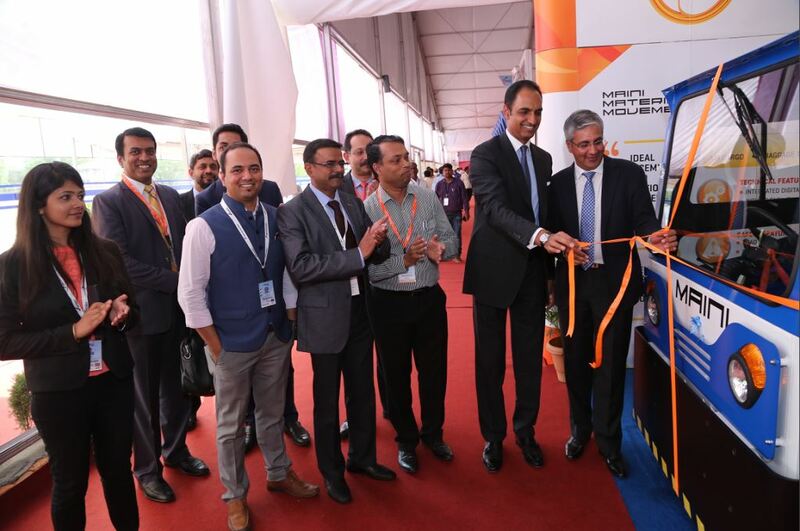 Maini Materials Movement (MMM) launched its 25-ton Electric Tow Tug for aviation support applications at India Aviation 2016, held at Begumpet airport, Hyderabad from 16th to 20th March. The 25-ton Electric Tow Tug is designed to tow small aircraft, ground support equipment, baggage trolleys and air cargo containers, among others. The Tug has been tested rigorously in the Indian environment at various airports and military bases. All the aviation support equipment manufactured by MMM is designed to the specific requirements of the customer with inherent flight safety features. MMM is proud to be the first mover in this product range as a ‘Make in India’ initiative and will soon launch the 15-ton class of tow tugs. 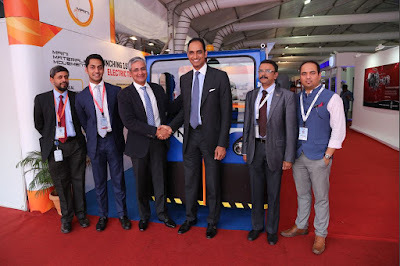 Mr. G V Sanjay Reddy, Vice Chairman, GVK, launched the Tug at the event, said “I am so happy and proud to know that Maini has come up with electric tug for the aviation industry. It shows that good Indian companies can come up with fantastic design and compete with the best in the world” Mr. Reddy went on to wish success on this amazing ‘Make in India’ initiative by Maini Materials Movement. A member of the Maini Group, Maini Materials Movement Pvt. Ltd (MMM) designs, manufactures and markets electrically-operated material handling equipment, in-campus people movement vehicles and aviation support equipment. The company’s capabilities in design and customer-specific product customization continue to be pivotal in the Maini brand equity’s growth across industry verticals. 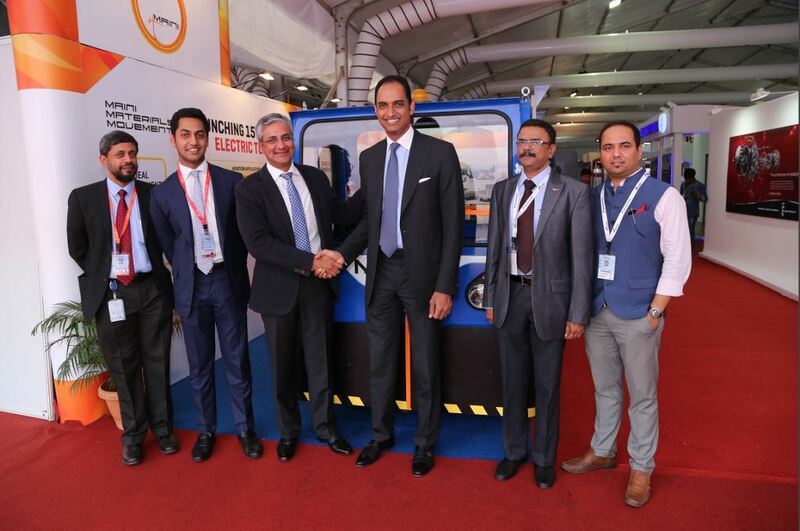 Leveraging its technological capabilities, MMM initiated the indigenous manufacture of electric tow tugs in 2014. With its established, all-India presence and after-sales network, MMM is confident to meet customer expectations.